„When you’re in the car, the lights go out.“ Quoting the feeling of Sir Jackie Stewart, starting a race at the Nürburgring. And it is absolutely understandable, knowing, that nowhere in the world driving has been and still is more dangerous that at the Nürburgring. Die “Nordschleife” takes you via mountains, loops through valleys and forest at the foot at an old castle. This place is mystical, dragging many race drivers it its ban. They all describe the Nürburgring as the worlds’ most impressive race track. 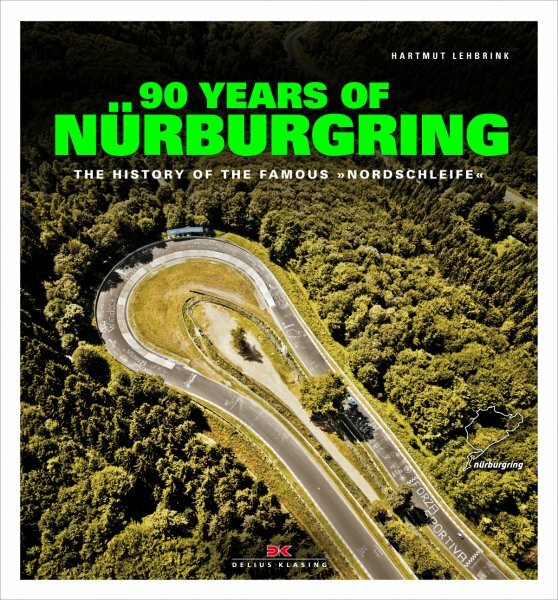 This picture book tells the meanwhile 90 years of “Grüne Hölle” history - and their stars, driving at the Nürburgring for their lives. Author Hartmut Lehbrink, who watched numerous races since the 1950s, visited the outlives, interviewed them and captured stories as well as emotions. Even those who have not survived, received an earned place. And with this a unique, very personal and on the other hand collective picture has been assembled of the Nürburgring. Including, of course, the race drivers Sir Jackie Stewart, Hans Herrman, Stirling Moss, Jochen Mass, Walter Röhrl, motorbike star Toni Mang and cyclist Rudi Altig. Finally, a comprehensive Nürburgring book – about race drivers for racing fans!